I'm going to do a few posts about themes found in my books. The first is a post on wedding gowns. Wedding Gown Girl was my first published book and came out in 2012. I've always been fascinated with wedding gowns and how people choose such varied styles. I think it really shows the personality of a person. Let's look at wedding gown styles and trends for the 60s, 70s, 80s, 90s and 2000 to present day. The rolling sixties were when woman broke out of many restraints and even became wild and pushed feminism. The hippies and flower power reigned. The 60s wedding dresses had tight bodices, high waists and high necklines. The necklines were straight and simple without dips or bows, beads and bows. The skirts were often flared and many were shorter than before. 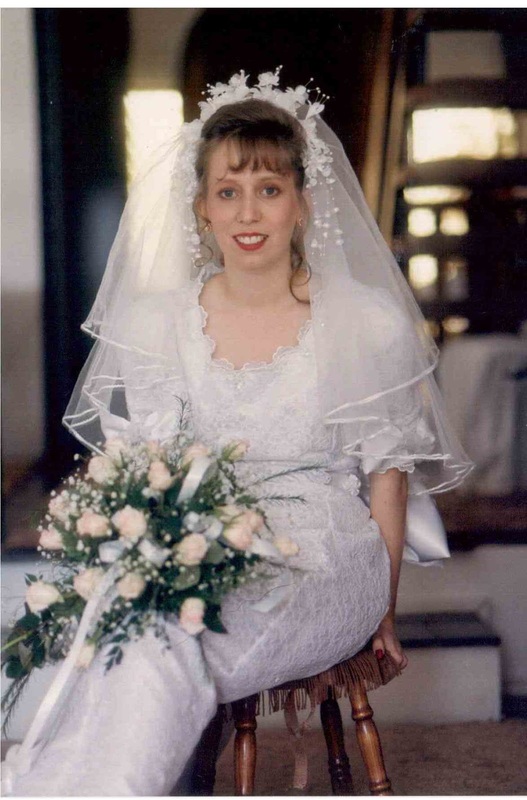 I remember a photo of my mother's short wedding dress. Those that wore sleeves, wore them as lace. There were embellishments, but mostly just bows, sashes and lace - nothing too elaborate. 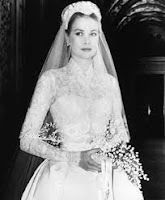 The royal bridal gown of the decade - Grace Kelly. The 70s wedding dresses were less funky and fun and more elegant. Lace, frills and flounces were in. The overall look was flowing and lighter than air. They were mostly high-waisted and often with soft and flowing long sleeves. V-necks were starting to feature, and some of the dresses were bohemian for the free spirit. The royal bridal gown of the decade - Princess Anne. The 80s brought in even more exaggerated size, flounce and fluff. Puffy sleeves were in. The princess ballgown was in. The sweetheart neckline gained popularity and strapless began to peep into the trend. Bows and large trains were favoured. Many dresses had ruffled necklines, possibly influenced by Princess Diana's. Cream was in. The royal bridal gowns of the decade - Princess Diana and Princess Fergie. Puffy sleeves faded out - they were still in but shorter and less pronounced. The necklines lowered and sleeveless became more popular. Skirts were straighter and bodices and waistlines dipped lower. The mermaid style came in. There was no significant royal bridal gown. I've put in my own one as I was married in '96. In recent years, individualism has played a strong role in the choice of wedding gowns. The variation of styles has amplified. Some women like ballgowns and others the simple-lined dresses. But the general trend is cleaner lines, low necklines and strapless and sleeveless. Beads, sequins and bling are popular. Very few women go back to the puffy sleeves and flounces of the 80s and 90s, but some of the 60s and 70s trends have come back in vogue. The royal wedding of the decade is of course, Kate Middleton. I think the royals often try to set their own trends. I wonder what the next trend will be. I think just about everything from the 80s makes us cringe - those crizzy perms and horrid bubble skirts especially. What a fun post, Kathy. 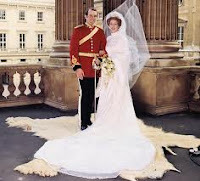 Royal brides have certainly set the trends over the decades! 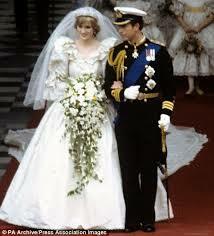 Wow, if I compare my own wedding dress which was very simple to Princess Di's! Talk about extremes! Fun post, Kathy! Great post, Kathy. And I love your wedding pic! Wedding gowns reveal a woman's individual style. Really nice post. These days, sleeveless wedding dresses and sweetheart necklines are the trend. I love the programme; SAY YES TO THE DRESS. You will find today's trends. Thanks for sharing the past trends. I loved Kate's wedding dress. I also love that programme. How fabulous Wedding Gowns - From the 60's to Present Day! The vintage gowns are just so pretty and simple. I would like to buy one of these for my big day that would also be in vintage style and will be held at the garden themed event space Chicago. Glad that found this helpful share!